The Tugwell Room is located at the Greenbelt Branch. The Tugwell Room is accessible whenever the Greenbelt Library is open. If you come to the Greenbelt Library and see that the Tugwell Room door is closed, please ask a Librarian at the Information Desk to open the room for you. The Tugwell Room is reserved for users of Tugwell Room materials only. Born on June 10, 1891, Rexford G. Tugwell grew up in Sinclairville and Wilson, NY. Tugwell’s father was a farmer and a cannery owner. Tugwell attended the Wharton School of Finance and Commerce at the University of Pennsylvania, where he received his Bachelor’s, Master’s, and Doctoral degrees. After completing his studies at UPenn, Tugwell taught economics at UPenn, the University of Washington, and Columbia University. While at Columbia University, Tugwell became a member of the “brain trust” - a group known as Franklin Delano Roosevelt’s inner circle of advisors. Roosevelt was then governor of NY. This group initially helped Roosevelt plan his campaign to become the president of the United States and later advised him on issues during his presidency. In 1933, Tugwell moved to Washington, DC, where he began working for the United States Department of Agriculture. 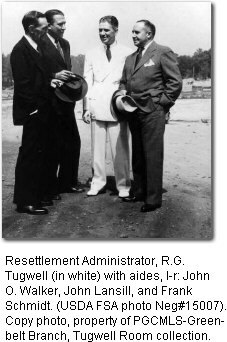 After serving as the assistant secretary of Agriculture, Tugwell became the head of the Resettlement Administration. Tugwell strongly believed in government economic planning. While at the Resettlement Administration, he worked on many New Deal programs, such as tax reform, relief public works, and federally planned communities. 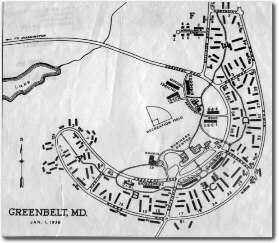 Tugwell is connected to Greenbelt, MD through his instrumental work with the Greenbelt Towns program. 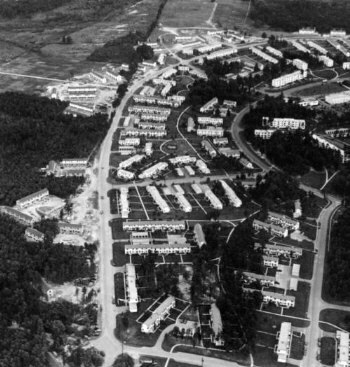 While he was head of the Resettlement Administration, he dedicated much of his time in the creation and development of the Greenbelt Towns project. The Greenbelt Branch is wheelchair accessible from the lower level entrance of the library, where there is ample parking. Follow the signs for the elevator to the second floor. The Tugwell Special Collection is a reference collection, and the materials must be used within the Greenbelt branch. Whenever possible, materials should be photocopied. The Tugwell Special Collection serves as a resource for researchers who are interested in studying city and urban planning, sociology, architecture, American history of the New Deal era, consumer cooperatives, and the city of Greenbelt, MD. The mission of the collection is to provide reference materials on those subjects to any interested researcher, whether it be an elementary student studying his hometown, or a doctoral student collecting primary sources for a dissertation. The Newspaper Clippings Index is an online database that provides bibliographic information, and brief summaries about newspaper clippings within the Tugwell Special Collection. 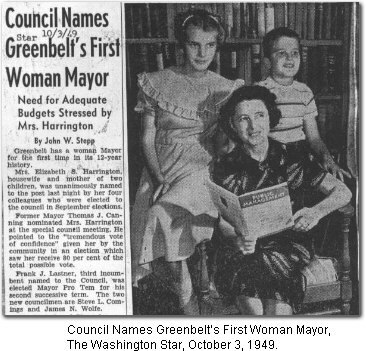 National and local newspaper articles since 1935 on Greenbelt have been collected. Articles may be searched by keyword, publication, year, author, or subject heading. Articles are still in the process of being indexed into this database. Bulletin No. 1024: “Organization and Management of Consumers’ Cooperatives”. Washington, DC: U.S. Department of Labor, 1951. Daniels, John. American Cooperatives: Yesterday - Today - Tomorrow. New York: the New Leader Publishing Association, 1945. Syrjala, Savele. The Story of a Cooperative. Massachusetts: United Co-Operative Society, 1947. 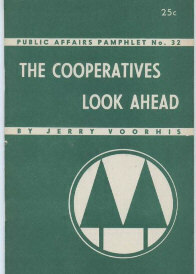 The Cooperative League of the USA. In a Big Co-Op, Can Members Really Control Policies? Gunterman, Joseph. “Work Together”. NY, Washington, Chicago: The Cooperative League of the USA. 1948. 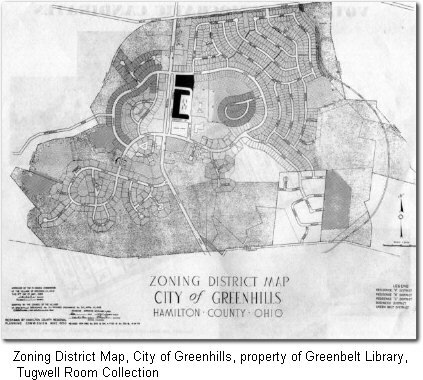 Pamphlet, property of PGCMLS - Greenbelt Branch, Tugwell Room collection. Use the Newsclippings Database to search for articles about these individuals. Greenbelt, MD. Aerial view, probably early Fall, 1941.